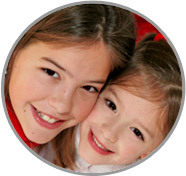 Your Best Suited Nanny in Dauphin County is right here at ABC Nanny Source! Call Today! Nanny in Dauphin County Jessica is interested in integrating your children’s hobbies into a fun day full of learning! Please call 717-221-1020 today to speak with a placement counselor and start your search for the perfect Nanny in Dauphin County!